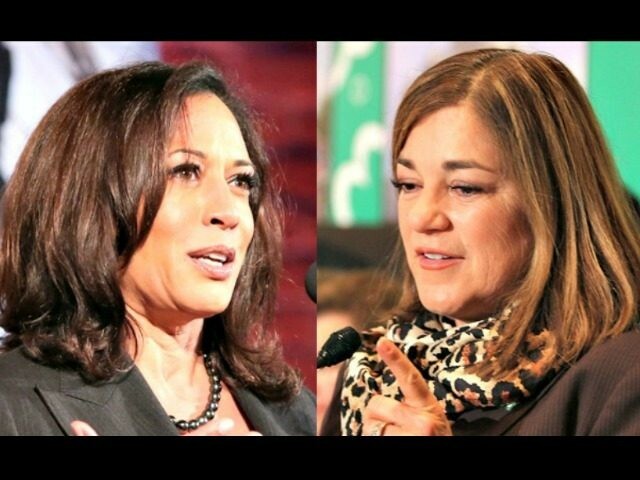 Latino voters in California are increasingly deserting Rep. Loretta Sanchez (D-CA) in favor of the frontrunner, California Attorney General Kamala Harris, in the race for U.S. Senate in California in a new September Field poll. Rep. Sanchez has been seeing a downward slide in recent months. She now sits at 20 percent among likely voters in the September poll, compared to polls in July and late May that showed her with 24 and 26 percent, respectively. Sanchez and Harris are competing to replace retiring U.S. Sen. Barbara Boxer (D-CA). On the other hand, voters appear to have become increasingly undecided about who they will vote for as Election Day approaches. Those likely voters listed as undecided ticked up from 20 and 22 percent in May and July, respectively, to 26 percent in this most recent September poll. 12 percent of respondents designated as likely to vote in the general election said they will not vote for either of the two Senate candidates. Those not voting in the Democrat-on-Democrat race were largely Republican, and almost all of the rest were “No Party Preference” voters. Only one percent of Democrats said they won’t vote in the race, compared to 30 percent of Republicans and 11 percent of unaffiliated likely November voters. Harris brought in 42 percent support among registered California voters surveyed in the September 7-13 Field poll. Her support has vacillated from 40 percent in May down to 39 percent in July, and now up to 42%. However, she has gained specifically in the Latino demographic, pulling support from Sanchez in a population she purports to represent. Harris holds heavyweight Democrat endorsements from President Barack Obama, Vice President Joe Biden, California Gov. Jerry Brown, and at least 13 members of Congress, including Sen. Elizabeth Warren, Sen. Chuck Schumer, Sen. Cory Booker, Rep. Ami Bera and Rep. Karen Bass. The September Field Poll found that Harris is seen more favorably among Democrats, 91 percent, than Sanchez. Sanchez was seen marginally more favorable among Republicans, at 24 percent, than Harris. Among likely voters surveyed, Harris holds a marginally more favorable rating, at 61 percent to Harris’ 53 percent, though the survey notes that most respondents did not hold strong feelings for either. The poll was a joint endeavor of the Field Poll and the Institute of Governmental Studies at the University of California, Berkeley and was conducted online by YouGov. The survey polled 1,800 registered California voters, 1,426 of which are likely to vote in the November 2016 general election.